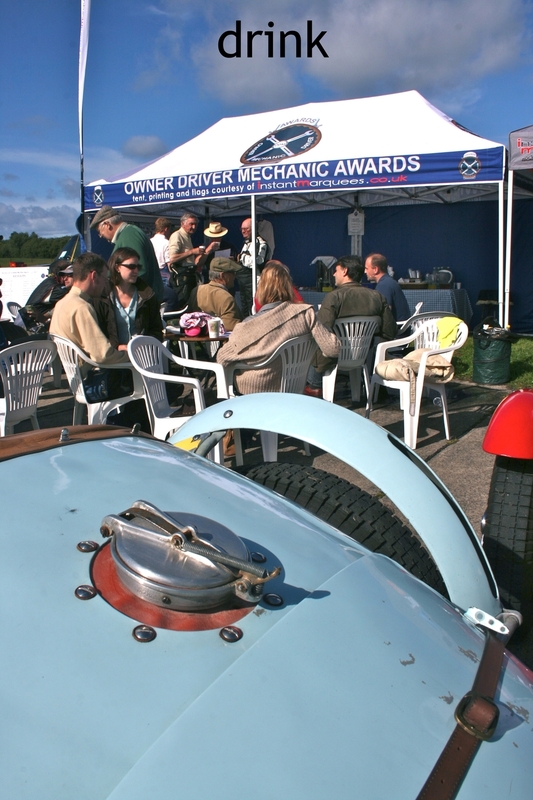 Introduced by John Guyatt in 2009, The Owner Driver Mechanic Awards are designed to encourage original specification Pre-War Sports Cars to come out racing at Vintage Sports Car Club (VSCC) meetings. Aimed at the amateur racing enthusiast, points towards the annual ODM Awards are weighted according to whether the car is owned, driven and maintained by the entrant, although it is not necessary to do all three in order to race with us. With at least five races during the season, points are accumulated in each of four engine capacity classes. Prizes are awarded for 1st, 2nd and 3rd in Class and the overall winner on aggregate is presented with the coveted ODM Trophy. Racing is close and competitive, but equally important is the friendly club atmosphere and spirit of camaraderie fostered in the ODM hospitality marquee. Here owners, drivers, mechanics, their family and friends can relax and socialise. Hot and cold drinks, light refreshments and lively banter are dispensed throughout each race day. To join us, simply enter your Standard or Modified Pre-War Sports Car in the Set 3 race at any VSCC Race Meeting. No further subscription is required.